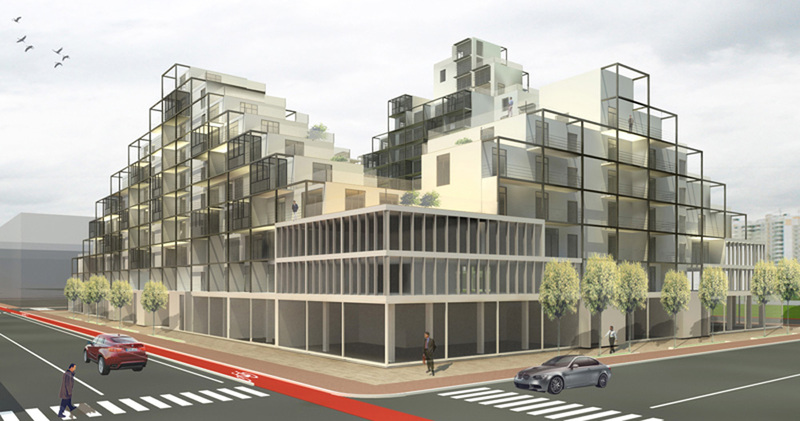 AllesWirdGut Architects wins international architectural competition for residential estate in Luxembourg. 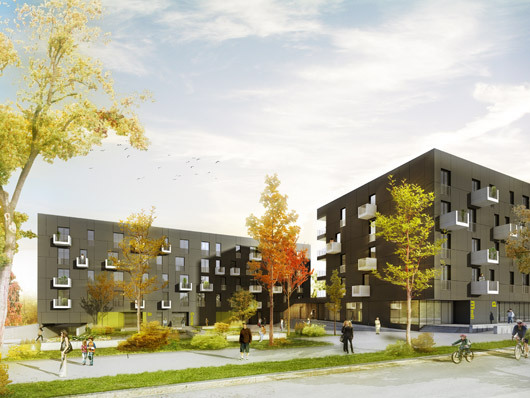 The project is part of the Quartier du Grünewald masterplan: in the course of the development of the Kirchberg Plateau 700 residential units are to be constructed in 21 buildings. How to implement a necessary, but impopular program in a run down neighbourhood? The double burden of these deprived area’s is that not only they form a poor and vulnarable society, but they also attract and generate socially unwanted populations of outfits, like drug-addicts. In the Southbank of Rotterdam a large program is being implemented to uplift the neighbourhoods. Part of this program is the allocation of small user-centers for the heavily addicted drug-users. It provides them with the elementary hygiene and health care and, more importantly, it is a place to get some rest in their extremely stressfull daily life. The competition was organized by The FESNOJIV, a government-funded organization aimed at systematizing music education and promoting the collective practice of music through symphony orchestras and chorus as a means of social organization and communitarian development, and the CAF (Andean Development Corporation) a financial institution that supports sustainable development and regional integration in Latin America. Results were published in July 2010. The proposals were evaluated by an international jury composed of José Antonio Abreu, director of the FESNOJIV, Yasuhisa Toyota, the Japanese acoustician, Iñaki Abalos, Spanish architect, Anita de la Rosa, landscape architect, Lorenzo González Casas, urban planner architect, Eduardo Guzmán, representing the Libertador Town Hall and Omar Seijas, vice-president of the Colegio de Arquitectos de Venezuela. 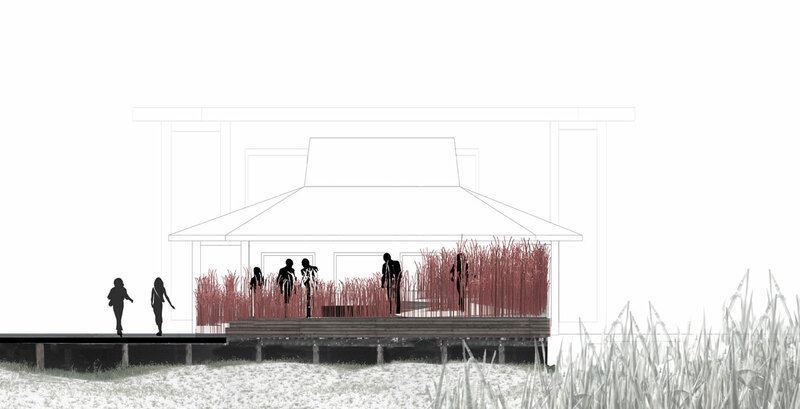 Substitute members of the jury were: Pedro Franco, architect and Paola Posani, representing the Libertador Town Hall. Family House, Zagreb by DVA ARHITEKTA d.o.o. 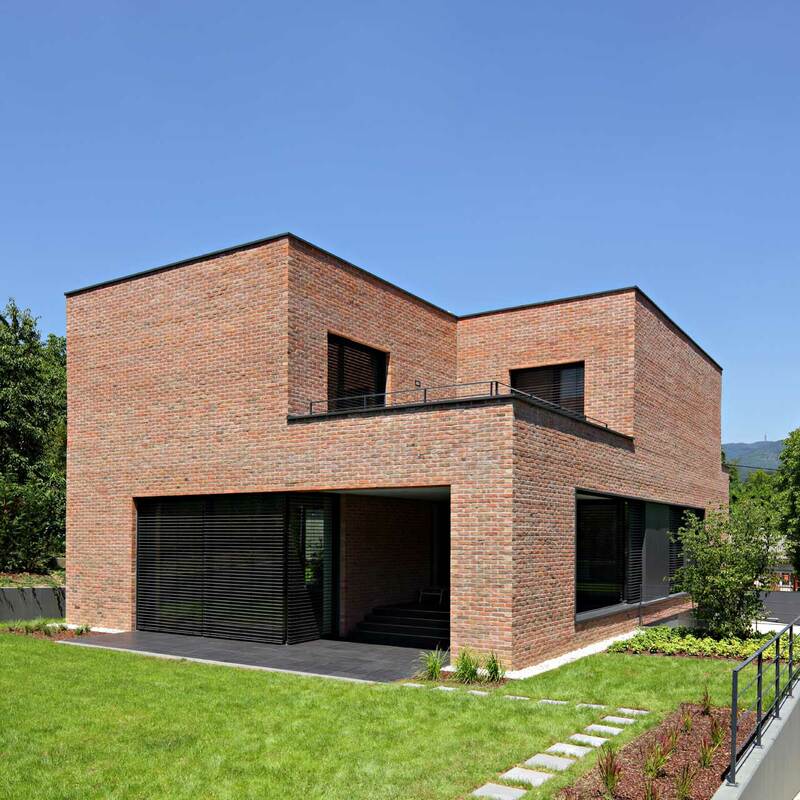 Project description of Family House, Zagreb by DVA ARHITEKTA d.o.o. The house is designed for a young family who wanted to build a new home in greenery near the city centre. Mostly small apartment buildings in combination with some single family houses take place of old garden houses wich used to provide idyllic almost pastoral atmosphere of the area. The main requirement was to hide away from neigbours and open views and orientation to the south and greenery. 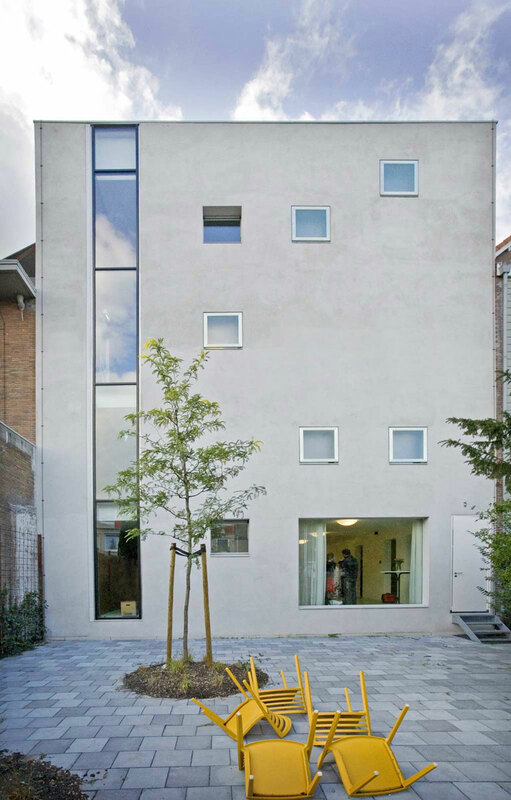 By using waste brick as a facade cladding the house fits in the old and uncompleted built area of the surrounding. 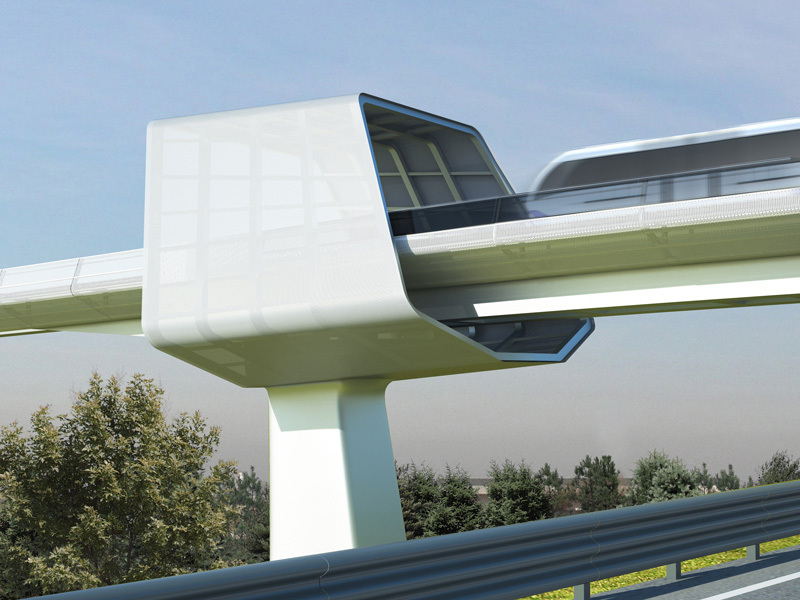 The People Mover designed for the city of Bologna is a transport system that is innovative in terms of technology, the regulation of circulation and architectural features. 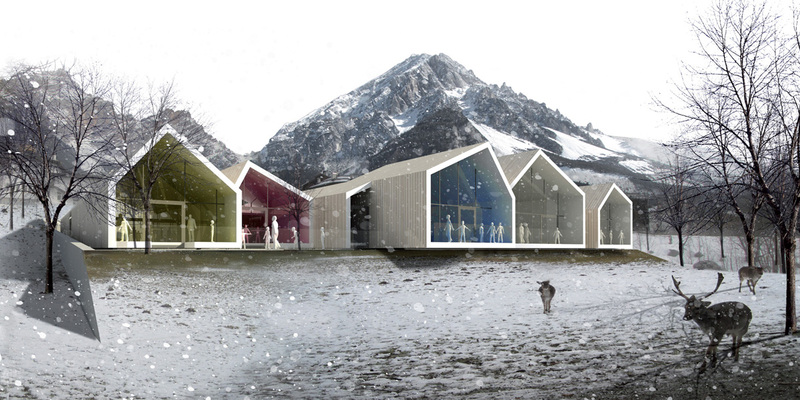 The project for the San Vito di Cadore school complex, entered in an International competition in conjunction with Alessandro Sacchet and Krej engineering, is based on visual and emotional relations with the mountain peaks of the Dolomites and spatial and physical relations between children and the setting. Through its exposure, the project guarantees standard of lighting and natural aeration in every flat, assuring suggestive optical views. Instead of dividing the functions of the construction in separated blocks, they are distributed horizontally. The flats are on the upper floors of the building, while the commercial premises and the parking are on the base (of the building). In consequence of that, the different levels achieve their specific quality. The public space incorporates with the neighbourhood. On the first floor, the internal court represents an intimate place and its common-use spaces (only for co-owners) creates an high sociality. The sharing of some services like laundries, meeting rooms, old man centre and so on, encourages social relations.